What comes to your mind when you talk about artificial sweeteners? Some say it has zero calories, some say it has lesser calories than table sugar. One day one gentleman came to me for his first consultation and while going through his diet recall, I realized he has been surviving on artificial sweeteners for almost 3 years and he had a complaint saying that despite cutting down on sugar, he is not losing weight! 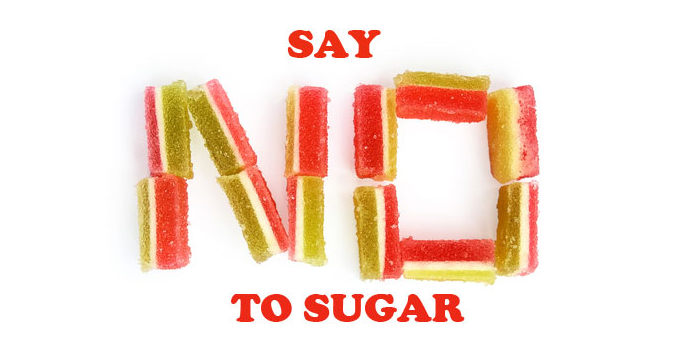 Diabetic people also feel that their blood sugar levels would get under control if they stop eating normal sugar. People have a common misconception that if they stop consuming sugar, they would lose weight. But, as a nutritionist, I can guarantee that this is not possible. An individual’s lifestyle, BMR, daily activity, stress all of these factors contribute to the weight loss process. If you ask me, I would say that sweeteners are not safe in the long run. Artificial sweetener is a substitute for refined sugar which has very few calories. 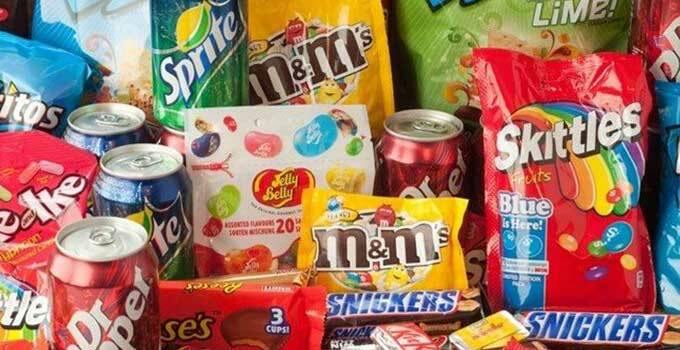 ‘Food and Drug Administration’ regulations permit any food product that has 5 or fewer calories per serving to be labelled as containing “zero″ calories. Personally, being a nutritionist, I feel that anything which is artificial acts as a foreign substance which can have adverse effects on the body in the long run. In fact, there are many scientific studies which have proven that using sweeteners especially aspartame leads to neurological disorders like Alzheimer, dizziness, depression in the long term which can be fatal. Sweeteners however should be used in moderation. If consumed on a daily basis it can get addictive. Today artificial sweeteners and other sugar substitutes are found in a variety of food and beverages marketed as “sugar-free” or “diet,” including soft drinks, chewing gum, jellies, baked goods, candy, fruit juice, and ice cream and yogurt misleading the consumers because even though the label on the pack would show zero calories, it would have good amount of carbohydrates and free saturated fats which is not good for the body. Acesulfame K: Acesulfame K, also known as acesulfame potassium or ace K, is approximately 200 times sweeter than sugar. It is marketed under the brand name of Sunett, Sweet One, and Sweet & Safe. It is commercially used in hard and soft candies, soft drinks, alcoholic beverages, chewing gums, baked goods. Aspartame: Aspartame is approximately 200 times sweeter than sugar. Aspartame is marketed under the NutraSweet, Equal and Sugar Twin brands. 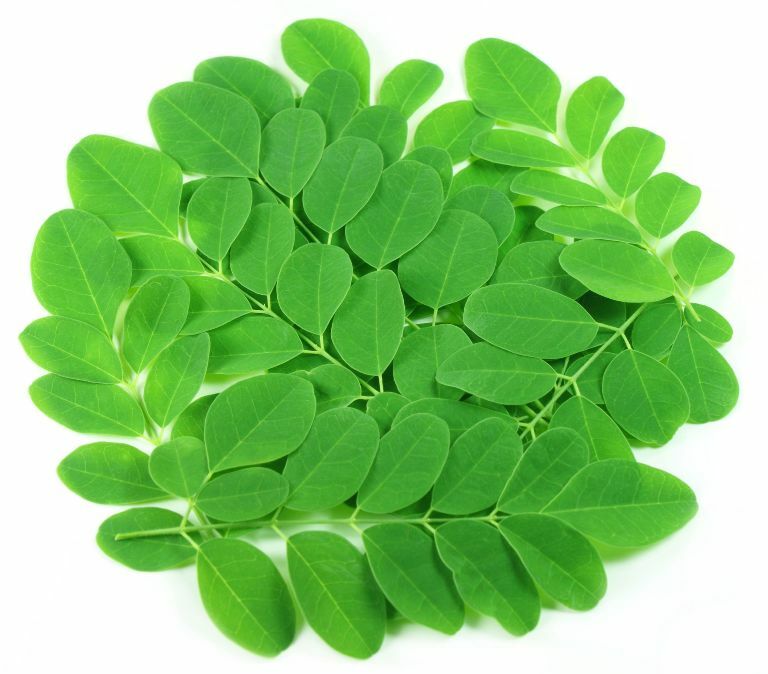 It is commercially used in baked goods and pre-dessert mixes. Saccharin: Saccharin is 200-700 times sweeter than sugar. It is marketed under the brand name of sweet n low, nectar sweet, sweet twin. Stevia: Stevia is a new product gaining importance in today’s world. It is a natural-sourced sweetener. (it originates from Stevia leaves). It is 400 times sweeter than sugar. Stevia can be found in thousands of food and beverage products around the world, including teas, soft drinks, juices, waters, flavoured milk, yoghurts, baked goods, cereals, salad dressings, sauces, confectionaries, and as a tabletop sweetener. To sum it up, use Artificial Sweeteners in moderation. As it is rightly said, moderation is the key. Rather choose for healthier ones like Honey, Jaggery watching out the portion size for each!! How difficult it is when you love something beyond a limit and have to suddenly let it go? It’s very difficult. I went through this very recently when I let go of eating ‘Sugar’ for few days. Here is what I went through. Being a qualified nutrition and dietician, the important aspects that are top of the mind for me is food, fitness, nutrition and everything that is necessary for a healthy lifestyle. 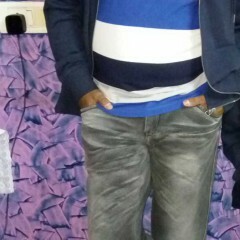 Moreover, Challenges always attracts me. I have always liked to challenge myself as it gives me an insight about how strong my will power is and my potential to handle tough situations. The Sugar Challenge was one such challenge that was thrown open to me. 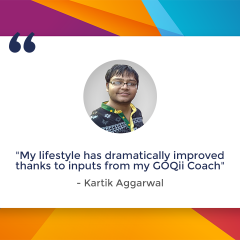 At GOQii office, we come up with challenges at frequent intervals related to fitness for our coaches and players. And, Sugar Challenge was one such challenge that was thrown open to us. I just could not resist taking it up more so given the fact that I love sweets- chocolates/pastries and everything else that is sweet. In a way I was a ‘Sugar Addict’. I wanted to check whether I could stay away from eating sweets as the sugar challenge meant complete abstinence from refined sugar and food items that is either made of sugar or contained sugar like chocolates/sweets/bakery items. Why bakery items? Yes because even bread/toast/buns does contain SUGAR in good quantities. Sugar is an addiction and you could call it a poison which makes you sluggish and gets stored as fat! I thought to myself it can’t get any better than this. This challenge could only keep me away from sweets specially chocolates. Some of my colleagues also joined me in this challenge. I guess when you know you have company to take up such a challenge it becomes a fun activity and you do not tend to perceive it as a challenge anymore. Also you are motivated to push yourself daily to keep at the challenge. The next big question that popped was for how many days should we go for this challenge? 1 day was too less. (how I wish).. so we decided we would take it up for a week. At the back of my mind the top most thought was are 7 days too much? Will I be able to complete it successfully? But, then I felt no harm in giving it a shot. With all enthusiasm, we started with the challenge. First 3 days were easy as still the excitement was at its peak. However, on the 4th day, it was a friend’s birthday and all the efforts went down the drain.. as I ended up having a piece of cake. The very next moment I was feeling extremely guilty about breaking the challenge. Then, I thought there is always a next time and this time I was very sure that I am gonna follow the challenge diligently for all 7 days.. I gave the challenge another shot and this time around more strictly. So what did I do to keep to the challenge and not cheat? First I stopped taking sugar in my teas. Secondly, as and when I used to get a sugar cravings I used to opt for healthy alternatives like dates/dried figs/fruits/chikki (as all of these sweets have jiggery in them which is a healthy alternative to refined Sugar). Jaggery is not counted as sugar. It is comparatively healthier than sugar due to its trace mineral composition. Ideally, sugar is acidic in nature where generally pathogen breeds. When I took this challenge my constant effort was to make my body alkaline by having more of veggies/fruits/whole grain etc. Sugar makes you crave for more sugar and if you restrict it, it leads to mood swings and behavioural changes. Also, it makes your body dehydrated and fastens ageing process. I found sweet substitutes as I said earlier, or set small milestones during the challenge to reach my goal. 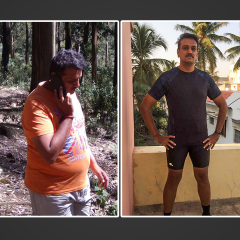 The benefits of staying off sugar made me feel lighter, increased my metabolic rate, made me more active and helped in getting rid of the toxins. Imagining a better me kept me motivated. And thus, I was able to successfully complete my sugar free challenge for 7 days. 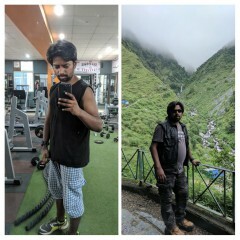 It was a big accomplishment for me as never in my life, had I imagined that I would be able to stay away from chocolates for so long! This challenge has motivated me to the next level of consuming less or no sugar at all in the future. Anyone can take up this challenge, if they want to get off their addiction and lead a better life. Even, people suffering from hypertension, diabetes can take up this challenge. For a diabetic, if the person’s sugar drops, a fruit would do. For individuals suffering from severe hypoglycemia, I would not recommend this challenge. Even otherwise I would advise that this challenge should be done under the supervision of your dietician, personal trainer or doctor. After this challenge, I do not get any more sugar cravings which has made a Happy me! As the holidays approach, you’ll need something special to wear to all those fun After Five parties. This GOQii x DressHead Plus Size Sequined Bodycon Dress – Long Sleeves can put a little sparkle into your holiday wardrobe with its fancy embellished cuffs. The sleeves are long and silver, in contrast to the deep red dress itself, and sparkle and shine as the wearer moves. This dress features a high, rounded neckline. It is a straight-cut cut, and is true to size. Ruching appears on the torso of the dress, which provides a slenderizing element. The dress slips on and off over the head. It is mini length, with the hemline ending just above the knees. Try this GOQii x DressHead Plus Size Sequined Bodycon Dress – Long Sleeves with silver strappy heels to perfect the look.